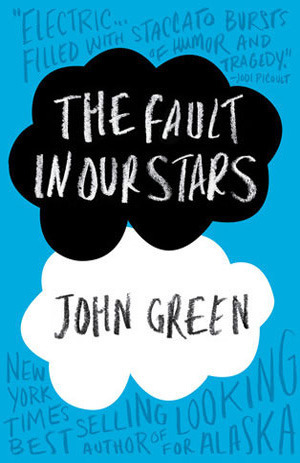 ... is a YA contemporary book by John Green about cancer, and probably one of the most hyped books I know. The world is cruel. And that's exactly the message this book delivers. The Fault in our Stars is not perfect. But hell, it was touching. I really didn't expect to like it this much. You see, I usually have a problem with hyped books. There are many I dislike (like Divergent, even though Insurgent was way better imo, or The Host or Eragon) and so I was very skeptical when I started TFIOS. I didn't buy it, my best friend did and I could read it, but now I guess I have to get my own version. Though I'm unsure if I can read this again. At the beginning the romance part felt a bit insta-love-y, but that feeling quickly vanished and made room for a understandable lovestory that was not too fast but also not too slow. Hazel and Augustus may not be my fave pairing in literature history, but they did have a nice chemistry. The characters... Didn't feel like teenagers. Sure, they are bound to be more mature due to their fates, but sometimes especially Gus sounded way too old. But I can look over that. It's a flaw, but one that didn't bother me while reading. Most of the chars were nice enough, I liked them, especially Isaac. As for the language, I don't know how you can write about this topic and manage to sound funny, emotional and realistic (though I have no idea how this would work out in RL, if it is a realistic as it sounds... It's simply... Dunno. *shrug*) at the same time. And the ending is the cruelest thing I've ever read. Hell, I think I need tissues again.